It is hard to know what to say about Burning, as it is a movie about absence: questions left unasked, people disappeared, imaginary fruit being peeled, cats that may or may not exist. At risk of making the film adaptation seem boring, it’s of crucial importance that Lee Chang-dong takes this short story, which can be read in about 15 minutes, and in which nothing happens (as far as we know), and stretches it to fill a 2.5 hour runtime. When the mystery is experienced as a piece of time-based art, the gaps in our knowledge feel broader, the time elapsed between plot points feels more nebulous, and the atmosphere becomes much foggier. The film has space to stretch out in several dimensions, many of them sociopolitical: South Korea’s class divide is mapped incisively (perhaps in a nod to William Faulkner, from whom Murakami borrowed his title), as is the literal divide between South Korea and North Korea (the protagonist lives on the northern border, where NK propaganda can be heard via radio transmission, at one point alongside a very imposing shot of Donald Trump’s face on television). The film never grows dull, despite its length, thanks in part to an urgent yet haunting score by Mowg, which relies heavily on single notes being played over and over and over on string instruments; the music gives the film a sense of uncertain momentum – we’re going somewhere, but where? When Dziga Vertov made his way through the streets of the Soviet Union in Man with a Movie Camera, the device worked as an apparatus of the human eye — capturing reality in its purest form, but with the twinge of fantasy instilled by the power of the lens and reel behind it. As our atoms shift, and time rotates around them, these singular moments of life are forever captured within these minutes of film reel so while the people come and go, reform and change, these reels stay the same. It would be interesting to know if Hong Sang-soo thought of Vertov and his work while he constructed Claire’s Camera, a film as obsessed with the captured moments of time as Man with a Movie Camera is — so much so they share camera in the title. 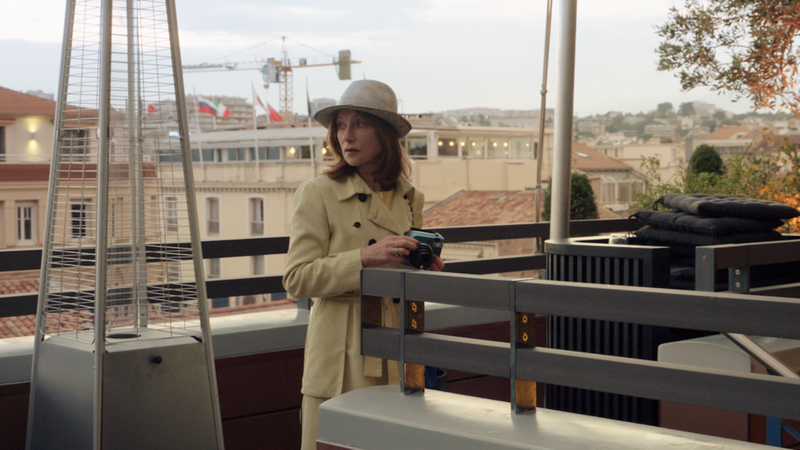 Much like Vertov, Claire (Isabelle Huppert) uses her lens to capture people, in a sense, snapping a photo which separates from the past and future of the moment caught on the frame. The person is much different prior to the photo being taken and feels remarkably different after the snap takes place, and Claire sees the shift in life through the image being processed through her film. This concept catches the interest of Jeon Man-hee (Kim Min-hee), who has lost her job at a film distribution company and is now adrift through Cannes at the time of the festival. For Claire, this town is ripe with faces and moments, and she wastes no time finding some of each — including Man-hee’s old bosses, who take a liking to Claire and her apparatus. An Elephant Sitting Still is a film forever shaped by the death of its creator. Contemporary readings of the picture and most of the ones in future will likely associate it with Hu Bo’s suicide and therefore prepare themselves to read the work as an agonized cry, the final roar of a deeply depressed man. That reading, while understandable, speaks to me as false and saddening especially in the months after its 4 hours concluded. The film is indeed about suffering, about the existential torments caused by various forms of injustice and general cruelty, there are many moments that are simply horrifying to sit through. It’s far from a happy film, there are no sanitized endings or moments that suddenly make everything okay. Sometimes situations can’t be fixed, sometimes the darkness is what you are stuck in and you can’t see the light no matter how hard you look. Eventually though, a little glimmer of brightness infects its way in, and even a little can keep you going, away from the pits of hell. You may never be able to embrace the joys of life as fully as people without depression, but you’ll be able to breathe without everything collapsing on you, one day. The movie is about staring into the face of the world and the nightmares within your own head, and not relenting, even just for a moment, about standing with people and finding a little solace in kicking a ball around and staring at an elephant. "If someone hits you and tells you they are doing it because they love you, they are a liar. "This is what someone does when they love you." Nobuyo (Sakura Ando) wraps her arms around Yuri (Miyu Sasaki) pulling her in for a hug as tears well up in her eyes. Yuri places a hand on Nobuyo's face. This was one of many beautifully tender moments in Hirokazu Kore-Eda's Shoplifters. Cuddled up on a couch in a theater in Asheville next to the guy I love, I watched Kore-Eda calmly weave a story of a Japanese family living in poverty. They steal what they need to survive, but whatever they get is shared with the whole family. They decide to take in a little girl after finding her on the street outside. When they try to bring her back, they hear her parents arguing about not wanting her, so they decide to take her in. Yuri is informally adopted by the Shibata family and introduced to their way of life. From there, the plot takes several twists and turns and when the true nature of the family is revealed the film really begins to find its footing. This film has lots to say about choosing who your family is and how your circumstances can shape you as a person. The most telling moments are the quiet ones with the characters mouthing the words they want to say, but don't have the chance to say them out loud. It's very rare when you have a film about a family and you feel like you got to know each character on an intimate level. While some like to argue that the ending of the film is kind of clumsy, I think it does a good job of showing how society perceives the poor with the interrogation scenes showing police trying to pit the Shibatas against each other. I’m always leery of films that name themselves after their leading characters, but Zama’s protagonist is one that deserves the title. Don Diego de Zama is described early in the film (by a child, nonetheless) as A god who was born old and can’t die. His loneliness is atrocious. This assertion from the child’s lips, no more than a recited whisper, shocks Zama as much as it does the audience. Did the boy really say it? Perhaps not, but the notion rings true. Zama is an epic character who appears worn out and apprehensive. 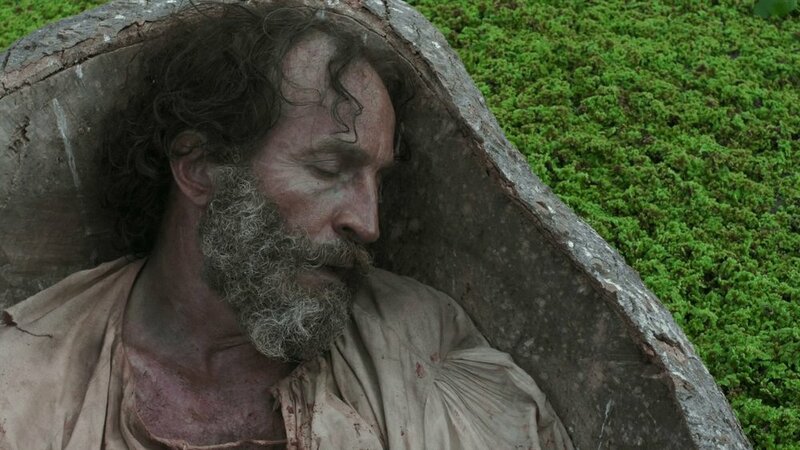 Cinematary’s own Nathan Smith compares Don Diego de Zama’s narrative to Dante descending into hell, and while the descent is cruel and never-ending, it is also beautiful and tragically humorous in certain moments. Daniel Giménez Cacho’s performance was one of the best (if not the best) I saw in 2018. He moves his face and body in such a way that it looks like he will explode at any second; there seem to be layers of emotion on his face at all times—guilty desire, paranoid determination, aroused restraint. Martel creates a semi-surrealist landscape around the tragic hero, dipping Zama only slightly in and out of multiple points of view. She pays close attention to the positioning of bodies, which reflect the power structure of the colonial world of the film, and draws attention not only to Zama’s tunnel vision, but also to the wandering eyes of the many characters throughout the film. Martel uses silence and sound to their extremes, making her audience almost as tense as her protagonist. In recent years, Hong Sang-Soo’s stock has risen in cinephile communities, and along with this recent popularity comes more output: the Korean auteur has released seven films since 2015. The Day After is possibly the most intriguing of his most recent works as it displays the rough business relationship between Bongwan (Kwon Hae-hyo) and his secretary, Aerum (Kim Min-hee). Bongwan’s wife finds out that he had an affair with the previous secretary, but mistakes the newly employed Aerum as her husband’s secret lover. While this conceit sounds like it’s ripe for theatrics, Hong still finds time for his usual focus of creating entertaining narratives out of the banal and anti-dramatic. Conversations between Bongwan and Aerum show where each other psychologically stands. Bongwan sees himself as the main character of his own story, not caring if what he does affects other “side characters” as long as it advances his narrative. Aerum has a more spiritual and humble outlook on life, one that is built off the basis of integrity, and she is a better off person for it. Bongwan lives an intellectually and emotionally fraudulent lifestyle, this is elucidated by two scenes: a conversation in the middle of the movie in where Bongwan is accused of being a coward by Aerum and the final conversation scene between them. In the first, it seems that Bongwan is deeply offended by the accusation and responds with mucus and tears, appearing to be genuine. 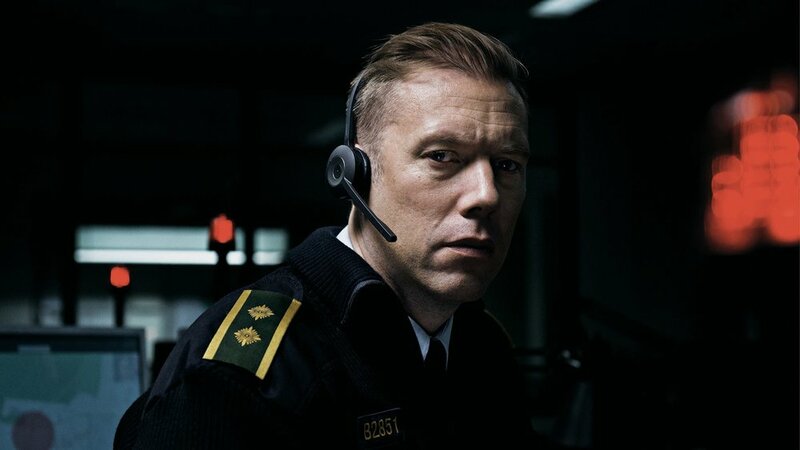 The second conversation takes place a while after the majority of the film has happened, Aerum has moved onto another job but stops by Bongwan’s office for a visit. Ismael's Ghosts, the latest from French filmmaker Arnaud Desplechin, received mixed-to-negative reviews when it premiered at Cannes last year in a condensed form. Critics also weren't too kind to the "director's cut," the longer version that played in American theaters this year. That's probably because Ismael's Ghosts is one of the most frenzied and chaotic films I've ever seen, and that's exactly why I loved it. Ismael's Ghosts begins inside of a spy movie, which quickly reveals itself to be the latest screenplay by Ismael Vuillard (Mathieu Amalric), a frustrated French filmmaker with a troubled past. At the behest of his partner Sylvia (Charlotte Gainsbourg), Ismael decides to retreat to a beach house to focus on his latest creative project. But what he finds there only distracts him more. One day, a mysterious stranger approaches Sylvia, who soon reveals herself to be Carlotta (Marion Cotillard), Ismael's gorgeous and strange ex-wife who disappeared without a trace decades ago. She reemerges as quickly as she vanished, sending Ismael over the edge. The intrigue that comes from such a complicated triangle—a man, his lover, and the wife he thought was dead until a few minutes ago—could provide enough plot to fill an entire feature film, but Desplechin isn't content to start there. What seems like an ethereal mystery soon becomes a full-on descent into psychosis as the film itself begins to resemble Ismael's fractured mental state, its genre changing on a dime depending on the emotional condition of the film's characters. Some might argue that Ismael's Ghosts is trying to do too much, but the sheer ambition seen here that keeps me invested in cinema.